When I returned from Africa, I was exhausted. I was mentally and physically drained. I also felt my body calling towards Nova Scotia. It is odd really, I've been here a few time before, but never before have I felt that sense of calling. Luckly, my husband saw how drained I was, and supported my idea of a week long camping retreat around the Halifax area. 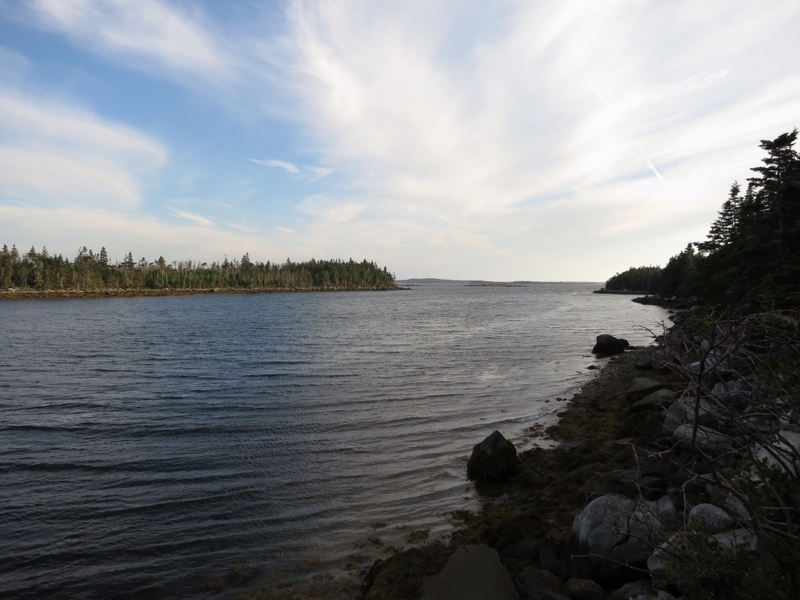 I flew into Halifax, rented a car, borrowed some camping gear (thanks Couchsurfing Larry! 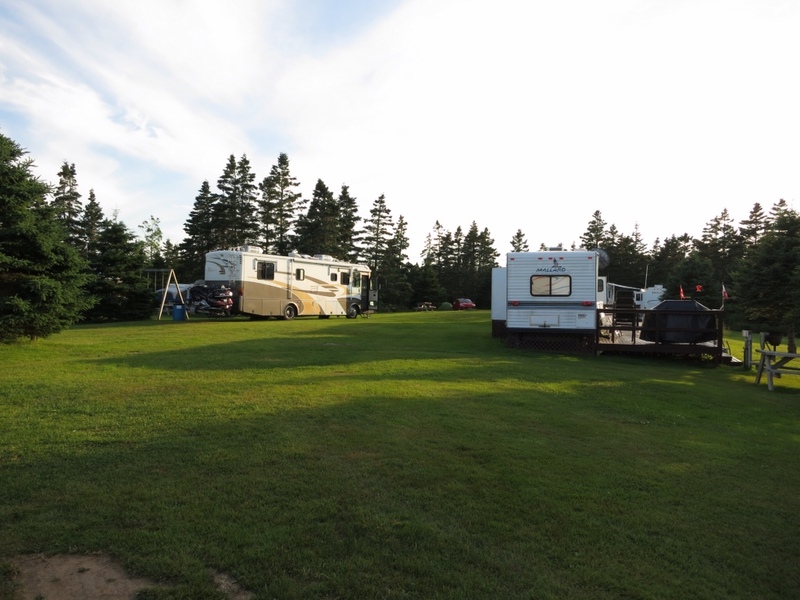 ), and now I am here – Murphy's Camping in Murphy's Cove Nova Scotia (on the eastern shore). My tent is tucked in behind my red rental car – up against the woods. This is the first time in my life I've been camping on my own. I certainly noticed that my husband wasn't with me when I was juggling setting up the tent and preparing dinner – I usually only need to do half the work. I'm still a little concerned about how well I'll sleep in the tent alone – but I know I won't have to worry about being accused of taking up all the space! The idea of this trip isn't just camping, although living outside is an important part of it. It is a chance for me to re-energize. I hope to get some reading done – I've had a very short attention span since I got back, such that I haven't been able to accomplish much. I'm also hoping to get some writing done. But at the same time, I'm giving myself permission to get nothing of substance done too. I'm here to soak in the energy from the earth. To that end, after dinner cleanup was done I went for a walk down to the water. I found a little deck overlooking the straights and did some yoga. It is the first time in a long time that yoga has felt truly restorative – perhaps I should be doing it outdoors more often. The view from my yoga spot. Throughout the week, I may or may not blog. My blog posts may be about the nature that I'm experiencing or the reading I'm doing – for example, today I was struck by how Vygotsky created a methodology for educational psychology that today we would call mixed methods research and yet his work took place in the 1930s, well before paradigm wars and the emergence of mixed methods as a legitimate way to do research – but I digress or that is my point anyways, that I may or may not choose to digress. I should note that I usually keep my travel blog posts at http://goingeast.ca rather than there. However, this blog is more about my PhD journey, and this trip is part of that journey too. Sometimes as PhD students, we need to remind ourselves that this is a marathon, not a sprint, and we need to take the time now and then to recharge. 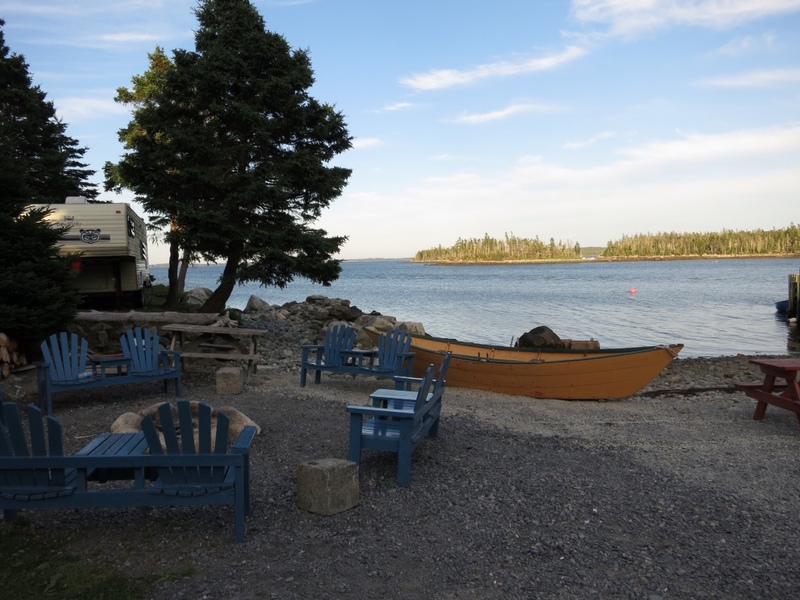 And alas, the mosquitoes are finding my fingers on the keyboard and the campfire is about to start – so I'm headed off for some Nova Scotia campfire hospitality. Goodnight.